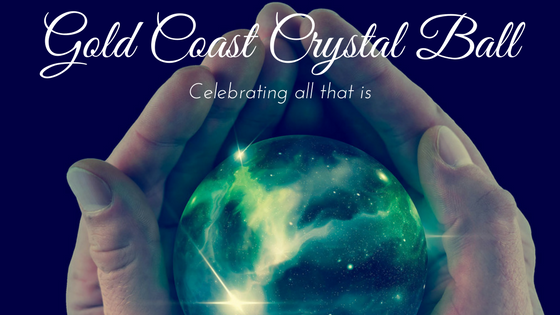 We’re so pleased to invite you to the Inaugural Gold Coast Crystal Ball. A night of Elegance, Lavish Entertainment, Dancing, Dining, Scintillating new Friendships with like minded Gold Coasters who share a passion for holistic living and heart felt connections. Join us in your most fabulous attire and immerse yourself in the bygone era of Frank Sinatra, Dean Martin and Sammy Davis Jr, or fondly referred to as the “The Rat Bunch”. Bring your friends and elegantly dine and dance the night away in your ball gowns and suits at the Robina Town Centre Auditorium for one night only Friday 13 July 2018. Lets make MAGIC Happen as we celebrate together. Lets have a BALL! Foot tapping crowds cannot help but be drawn to the music of some of the worlds biggest selling artists. 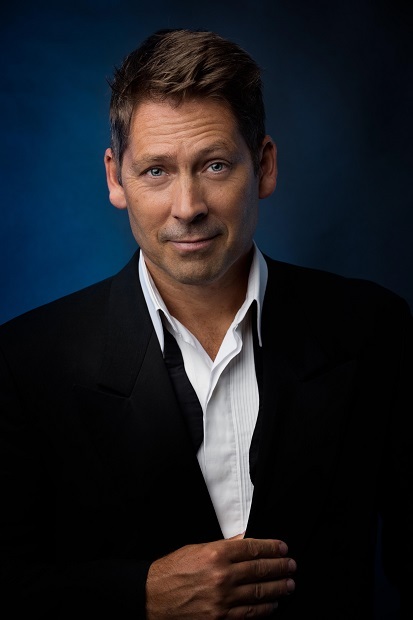 Featuring songs that Dean Martin, Sinatra and Bobby Darin would have sung in their lifetime. If you’re a fan or just love the music of Michael Bublé, then it will be Rhydian’s pleasure to help recreate those favourites. RHYDIAN LEWIS: Rhydian was born in South Wales UK, and now calls New South Wales Australia home. Rhydian believes that music the best way in which we all communicate with each other, as music sometimes can move you beyond words . Rhydian has appeared in Vogue magazine as a model and has travelled the globe on campaigns and acting trips to New York, LA, Paris, & Milan. His ﬁrst big show business introduction was creating and producing the UK’s equivalent to the American Chippendales group, called The Untouchables. It was a huge success and the group toured for many years, appearing in virtually every nightclub and show house through out the land. Rhydian also had a career for nearly 7 years as a TV presenter on QVC TV. 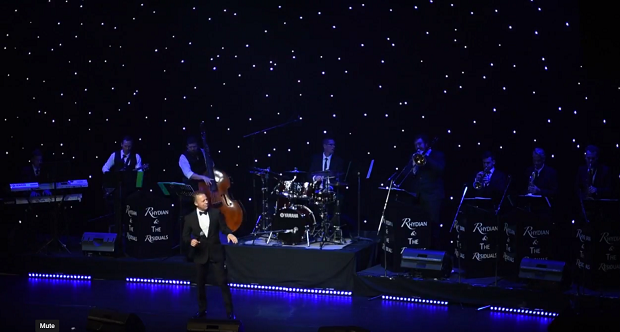 As Creative Director and Producer, Rhydian is currently touring in his shows “The Rat Bunch”, “The Best Of Bublé “ and “Its a Swing Thing” in Venues across Australia and Asia, and Appears as Guest vocalist on Trips to China & Taiwan for corporate clients and with the Gold Coast Tourism Group. ! ! Current shows on tour that Rhydian created: ! The Rat Bunch Featuring Rhydian Lewis As Frank Sinatra, Greg Aspelling as Sammy Davis Jnr and Sabastiaan. Greg Aspeling is a consummate Swing Singer and entertainer with a lifelong dedication to Big Band Swing music. He grew up in the sixties in a large extended family of his dad’s eight brothers and sisters, who loved their swing music and gathered around the piano every Friday night to sing their hearts out. The love for swing was instilled in him from those early days, so much so, that he always harboured a dream of being a performer like Sinatra. His dream wasn’t realised until much, much later, when in 2010, after dabbling on the fringes of music for a couple of years, he was asked to join a local big band, Swing Force Big Band, in his hometown on the Gold Coast. Greg went on to produce and perform in many shows with the band – The Michael Bublé Show. The Bobby Darin Show – Mack The Knife. A Tribute To Paul Anka – My Way, the singer/songwriter who wrote the English lyrics for the song most associated with Sinatra. The Kings Of Swing Show which showcased the three artists plus Sinatra. At the end of 2016 Greg decided to step away from the big band and go solo. 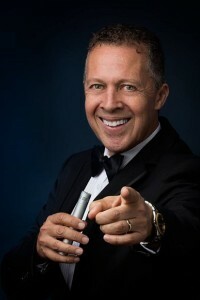 In mid-2017 he was approached to join the Rat Pack Show. 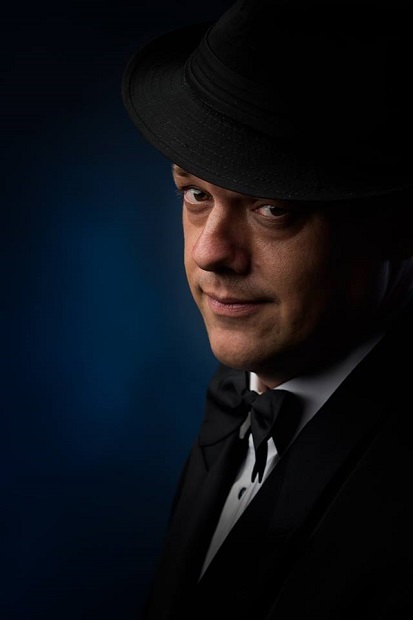 The Rat Bunch Show gives Greg his other wish – performing as Sammy Davis Jr.
Sebastiaan Scholtens: Born in The Netherlands, (hence the double ‘aa’ in his name), Sebastiaan moved to Australia in 2002. At a very early age, he started to sing and act. Coming from a very musical family, his grandmother being a professional opera singer and the various members of his family playing anything from guitar to trumpet, he has performing in his blood. Sebastiaan, or Seb as he has been appropriately renamed here in Oz, has a playful style of performing, enjoying the interaction with his audience. Having worked with a variety of great artists, Sebastiaan is a well-respected and versatile vocalist. Enjoying a broad selection of musical tastes, his voice is reminiscent of a mixture of Roy, Dean and Elvis, and it is this style that best resonates with his voice. Equally comfortable singing Rockabilly, Rock and Roll, Ballads and Big Band Swing a good night for all is guaranteed. The Swinging Residuals: Accompanying these amazing 3 Musicians will be an 8 piece band “The Swinging Residuals” comprising of two Trumpets, two Saxophone, Drums, Key Board, Base Guitar and Double Base. 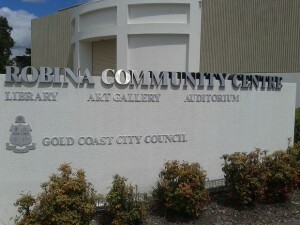 Black Tie Preferred – The Gold Coast Crystal Ball is a formal event and black tie attire is preferred.If you do not have access to a tuxedo or floor-length gown, a cocktail dress or suit is acceptable. The night is about celebrating all that is and a chance to get dressed up, dance and enjoy a night a fun with like-minded people. If you have any questions about the Crystal Ball Attire please phone 0414 714 948. We look forward to seeing you there. OR You may nominate a vegetarian option. BYO Alcohol or drinks for the evening. Glasses supplied.